Over the last few days, as I mess around on Facebook or Instagram, I notice that most of my friends and family back in Switzerland and Austria are on Ski holiday this week, posting amazing pictures of their time spent on vacation in the Alps. This has made me reminisce about my time spent in the Alps this time last year. My husband, kids and I, along with my husband's family (who live in Austria), rented a house in the village of Leogang (about an hour and forty-five minutes West of Innsbruck) for a week long vacation of skiing, sledding and relaxation. My kids and I took a 6 hour train ride from Switzerland, which provided Alpine views that were breathtaking. Once we arrived, we enjoyed the openness of the land and the fresh mountain air. Unfortunately, last winter was a bit warmer than most and much of the snow had melted by the time we left. But there was an abundant amount of snow in the higher elevations and ski slopes, only a five minutes drive from where we were staying. 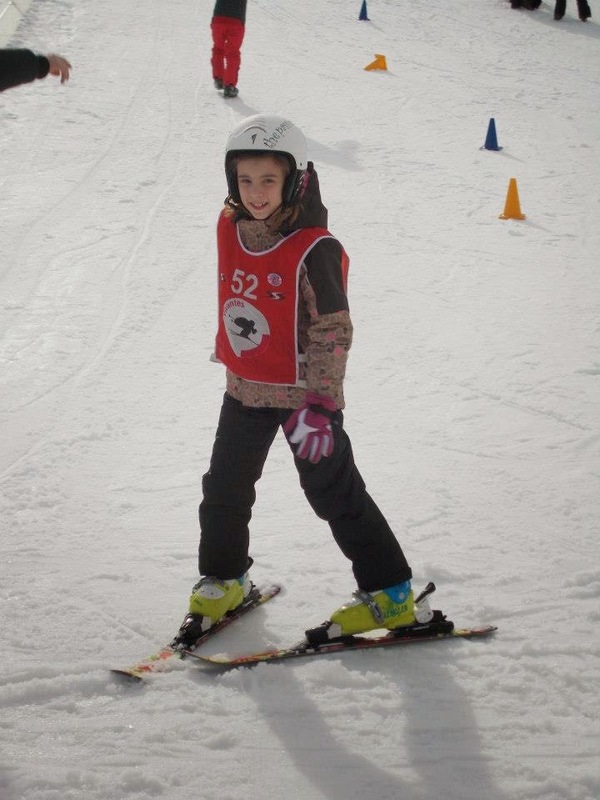 While on Ski holiday, I did what I was suppose to do and put Heidi and Lukas in ski lessons. This was seriously one of the coolest and proudest moments I've experienced as a mom. I'm not going to lie, there were some setbacks and emotions were flying all over the place... from Heidi not wanting to participate because she was the oldest kid in the group, to Lukas being overly excited in the beginning and then wanting to quit within 10 minutes. Then Heidi didn't want to quit, and at one point I was a (pregnant) crying mess of proudness when my babies came creeping down the hill. Even though I'm thouroughly enjoying this gorgeous, Southern California weather we've been having -I mean, who can complain about 80 in February? -a part of me still wants to be all bundled up in an Austrian chalet, drinking tea and eating homemade apple strudel, while my kids go skiing and make snow angels.